Renewal had a fantastic time singing our hearts our and teaming up with the fabulous Geraldine Luce and Cary in support on keys with the Renewal band. The backdrop of the band stand and the leafy shade of the enormous evergreens in the park provided the perfect scene to get excited but stay cool a the same time as Renewal revved into high gear during our 2 set performance at the fun day. It was awesome to be invited back another time to take part in the Family Fun Day for the third time. All credit due to the organisers who laid on a magnificent fun and family friendly event. 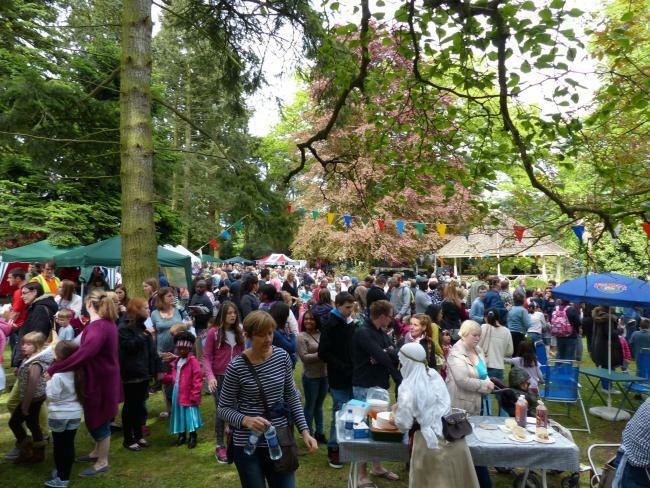 The excellent warm weather provided the perfect setting for loads and loads of people to come and thoroughly enjoy themselves. The day was truly everything a family funday should contain with lots of families with children of all ages enjoying the many stalls and attraction or taking part in the dance routines or the challenges set by world record holder an action packed line-up of Free activities for the local community of Stroud hosted by Stroud Churches together. A full programme of activities was brilliantly laid on to a packed park of several thousand people soaking up the sun and enjoying the atmosphere.